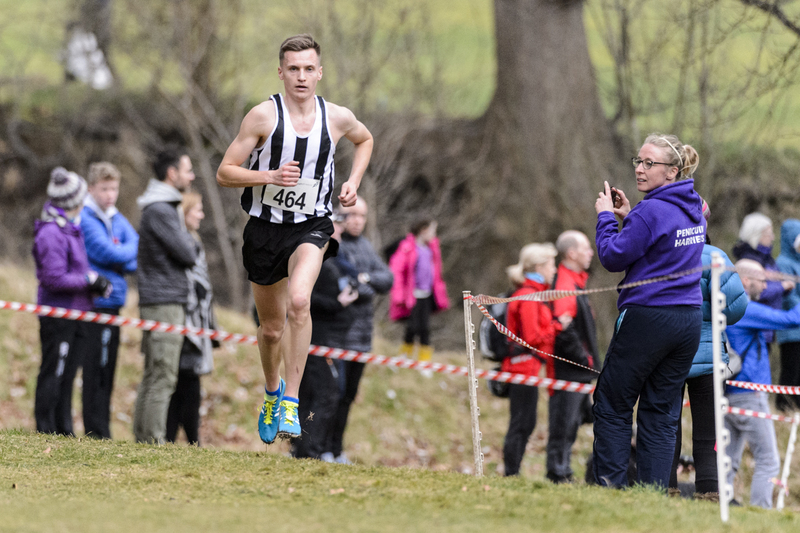 Central AC are celebrating a significant slice of Scottish cross country history – as they once again polish the Elkington Shield for an unprecedented ninth year in a row. 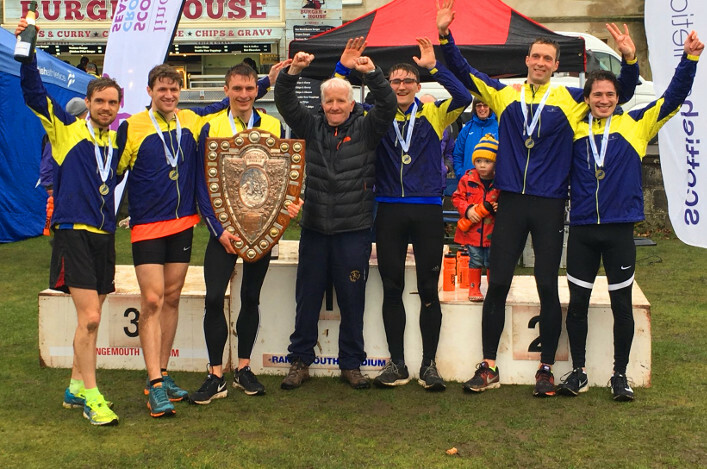 The trophy is awarded to the winning team in the Senior Men’s race at the Lindsays National XC and the latest win made it nine-in-a-row for the squad coached by Derek Easton. Congratulations from all at scottishathletics! Central had last year equalled the eight successive wins achieved by Cambuslang Harriers between 1987 and 1994. This time, despite missing a few familiar names like Andy Butchart, Jamie Crowe and Aidan Thompson, Central won it with 100 points with 100 points as Cambuslang (142) and Inverclyde AC (146) took the silver and bronze medals. Central AC’s team effort was led once again by Alastair Hay (8), Cameron Milne (10), Conan McCaughey (14), Dale Colley (15), Michael Wright (21) and Iain Davies (32). It’s been reported that 19 different athletes featured for Central over those nine title wins, with Hay having raced on seven occasions (with a top 10 finish each time!). ‘We’re absolutely delighted to win nine-in-a-row and land a new Record,’ said Alastair, who won the National XC in the two years prior to the team triumphs. Hay took bronze in 2010-11 at the start of Central’s run. The rest of the team was Ross Houston (7), John Newsom (8), Lewis Millar (17), Alasdhair Anthony (18), Gavin Noble (24). 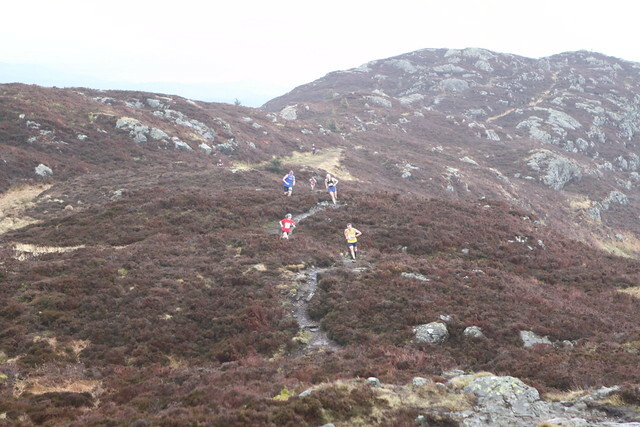 Adam Craig‘s runaway win in the Senior Men’s race saw him take the title by a margin of 58 seconds. And it had us searching the Record books for details on big victories to see who was the last athlete to leave the field behind in such a manner. Thanks to Alex Jackson for assisting on this as it emerged that Adam’s win was the biggest margin since John Suttie Smith (of Dundee Thistle Harriers) fully 90 years ago! The winning advantage for Smith way back in 1928/29 was one minute and six seconds so huge credit to Inverclyde AC athlete Craig for pulling off such a feat. Anyone checking the video footage on our You Tube channel of the Senior Men’s race itself will see Adam slow towards the line as he milks the applause and then turn and wait, checking the straight for the appearance of silver medallist Kevin Wood of Fife AC and bronze medallist Michael Christoforou of Edinburgh AC. These are glorious moments in the already significant history of Fife AC. Fresh from appearing as British representatives in the European Champion Clubs Cross Country in Portugal, the Fife AC Women won the gold medals at the lindsays National XC for the very first time. 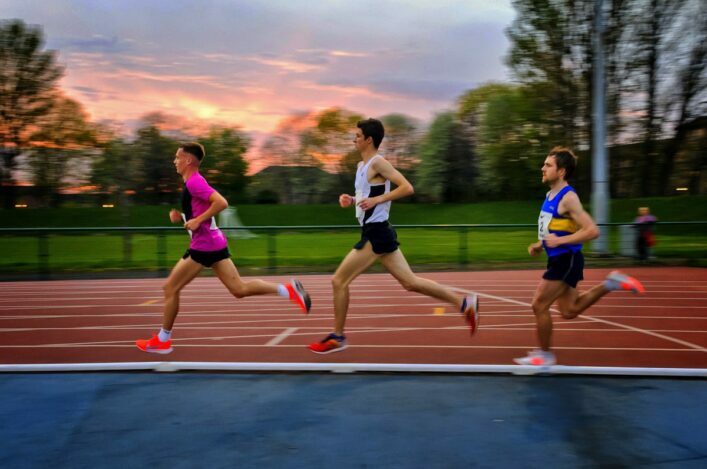 They did so be the narrowest of points margins – just two – between themselves on 149 and Hunters Bog Trotters and Shettleston Harriers, with both on 151. 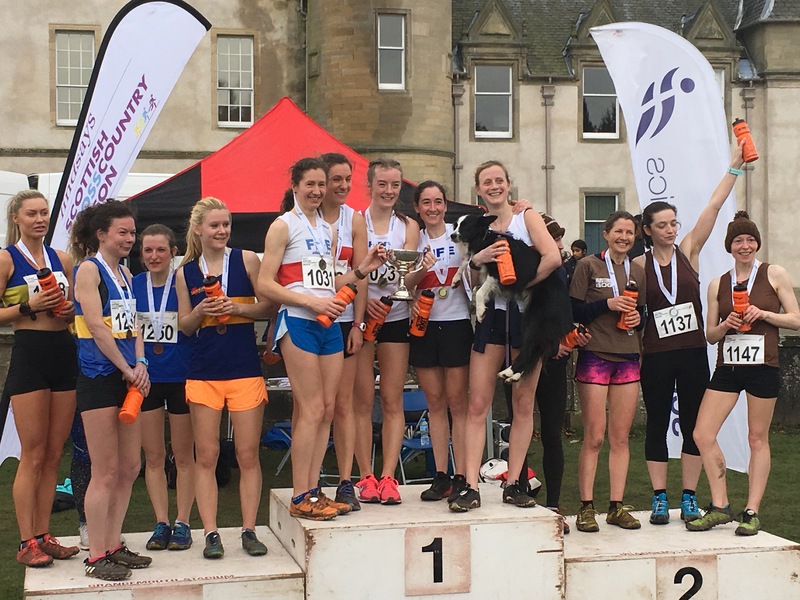 Well done to the Fife five of Megan Crawford (19), Helen Sharpe (26), Sophie Mullins (30), Jennifer Cruickshanks (32) and Jennifer Kibble Spence (41). It is no slight on those athletes to say they are a team with no ‘stars’ with Steph Pennycook and Annabel Simpson both absent last Saturday. In fact, it is to Fife’s credit that they packed so well as a team to give coach Ron Morrision another memorable moment. International ultra runner Sophie Mullins, for her part, had a different build-up to many of the 319 women who completed the race . 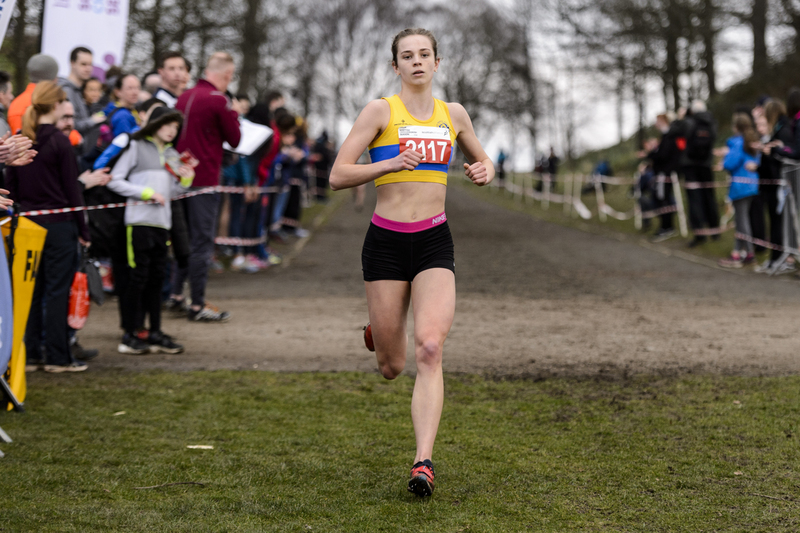 . .
We did say in our Lindsays National XC preview on the website last midweek that Giffnock North AC were habitual visitors to the podium for team medals in the age group races. It didn’t require the services of Mystic Meg, to be honest, but the club based on the south side of Glasgow surpassed even their own high standards at Falkirk. In eight races from U23 through to U20, Giffnock took home seven sets of medals – they won golds at U17 Women, U15 Girls, U15 Boys, U13 Boys; silvers at U20 Women and U17 Men; and bronzes at U13 Girls. It is testament to hard work by club officials and coaches at Giffnock to continue to produce such consistent results and it was good to see them win individual medals at U20 via silver for Erin Wallace and U17 via gold for Hamish Armitt as well as Julia Cash (silver) and Hannah Ryding (bronze) at U15 level. 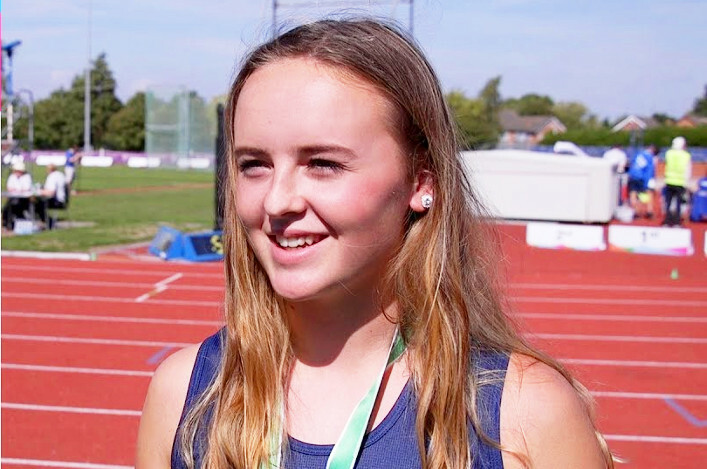 Both will be looking to Loughborough and the Inter-Counties XC, with Erin hoping to be in the mix for World Cross selection at U20. Perhaps Wallace and Armitt can be inspirational figures for the younger athletes at Giffnock. Of course, it’s not just about the big clubs at Falkirk. There were podium moments, either individually or as teams, for the likes of Harmeny AC, Lasswade, Deveron Harriers. And, equally, it’s not all about the podium so well done to every club who brought age group teams to Callendar Park and to the parents and coaches . . .